11. Defer to a historic explanation. “Martin Luther explained it in this way . . .” this can be helpful. This can be unhelpful. Whether it is Luther or Calvin or Wesley or Edwards, no matter how heavy a hitter, you have to be careful with this approach. It is important to know your history and not just pluck a quote off a website. Their context may have been different. Your listeners may not grasp their significance, and may get confused by going to another different place in history. Equally a historical explanation may allow for indirect communication of hard hitting truth. 12. Defer to a commentators explanation. “Doug Moo explains it like this . . .” this can be helpful. My preference would be for preachers to digest the commentaries in the context of a conversation with them, then preach in their own words. Preaching is not a footnoted seminary project, nor an unpublished commentary. Listeners typically don’t know the commentators (or even what one of those is). The names can be distracting. The impression given can be misleading. But sometimes somebody’s turn of phrase hits the nail on the head. “One writer put it like this . . . “ will usually suffice. 13. 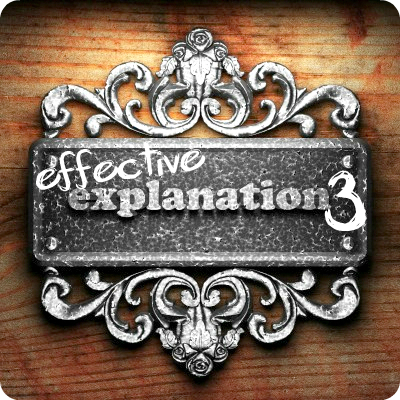 Develop an explanation piece by piece using effective review along the way (walking through a passage). This is the more traditional approach, but it can work well. Make sense of the first chunk, then build on that with the second chunk, etc. Be sure to review the progress so they get a sense of the building explanation and logical flow. 14. Deliver explanation by means of a birds eye view of features and chunks (flying over a passage). The opposite approach is to give them a birds-eye view of the whole passage before coming in closer to see the details. 15. Dive in to a key location and work out from there (skydiving into a passage). Another approach is to drop in at verse 8, then work outwards to see what came in the preceding paragraph, then explore in the other direction and see how verse 8 is worked out. This is still just scratching the surface. What would you add?